Samsung has unveiled its new smartwatch, the Gear S3, today at its pre-IFA 2016 event in Berlin. Similar to last year’s Gear S2, the Gear S3 comes in two variants, the Gear S3 classic and the Gear S3 frontier. These smartwatches feature various improvements over their predecessors including larger displays, better screen protection, beefed up performance, more accurate activity and fitness tracking, and improved battery life among other things. 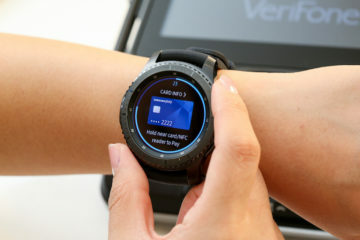 The Gear S3 features a slightly larger 1.3-inch circular Super AMOLED display with a resolution of 360×360 pixels, resulting in a pixel density of 278ppi. Moreover, the whole display is protected by Corning’s new Gorilla Glass SR+ panel, which was announced yesterday. It is made specifically for wearable devices and smartwatches, providing a tougher, more scratch-resistant and crisper displays. Samsung states that its new smartwatches also feature a ‘Full Color Always On Display’ mode, allowing 16 million colors to be displayed on the screen (such as a watch face with full colors) even in sleep mode. 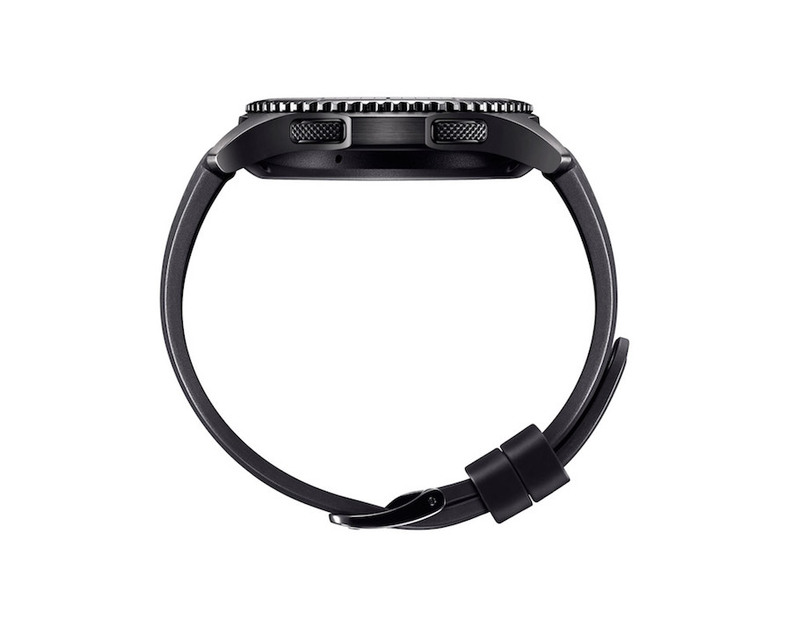 Samsung’s iconic rotatable bezel around the display for UI navigation is present in the Gear S3 as well along with two physical buttons on the right side of the display. 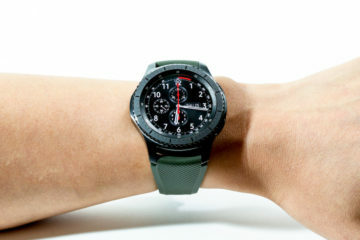 The Gear S3 frontier has more rugged looks which would suit more to consumers who exhibit an active lifestyle, while the design of the Gear S3 classic resembles that of an expensive mechanical timepiece, thanks to its minimalistic and elegant design. Both smartwatches are compatible with 22mm watch bands, so it’s quite easy to buy any watch band from a store and customise the Gear S3 according to your liking. Similar to its predecessor, the Gear S3 uses the same 1GHz dual-core processor and 4GB internal storage, but Samsung has increased the RAM from 512MB to 768MB. 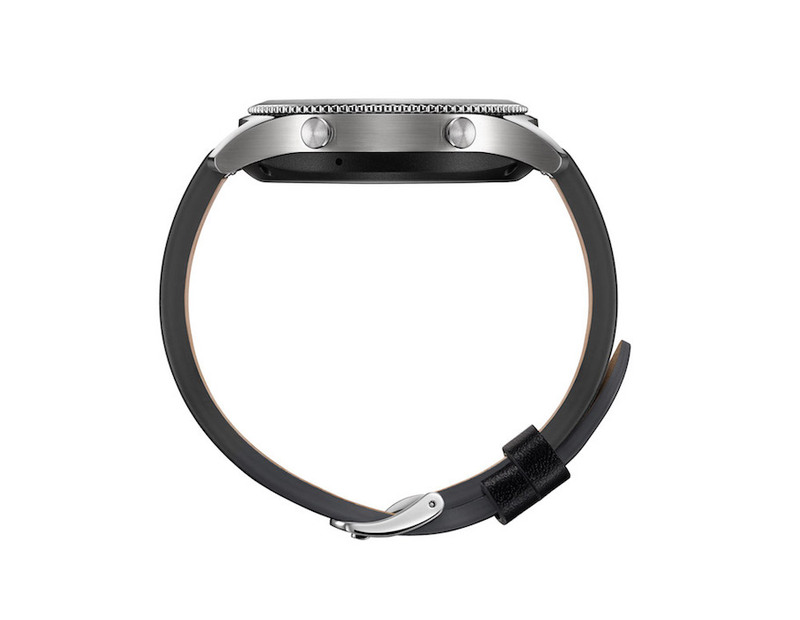 Both smartwatches feature Bluetooth 4.2, Wi-Fi b/g/n, NFC, and GPS connectivity. 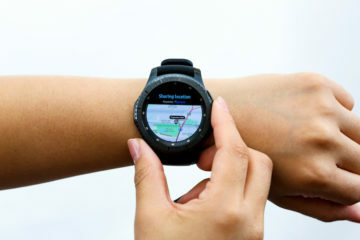 The Gear S3 frontier will also be released in a variant with 3G and LTE connectivity. These smartwatches are the first from the company to use MST technology for Samsung Pay. 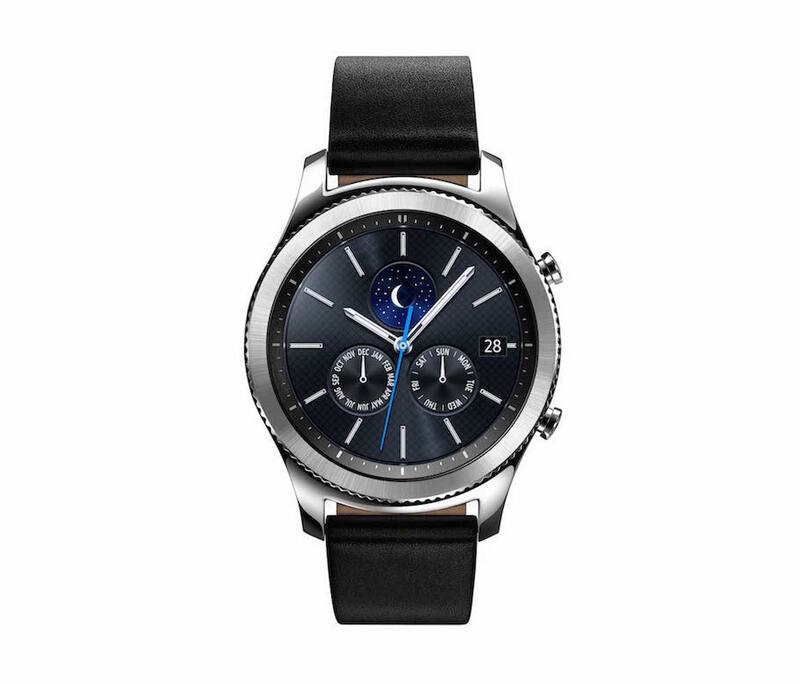 On the software side of things, the Gear S3 runs Tizen-based Wearable Platform 2.3.2, and they can be paired with any Android smartphone running Android 4.4.4 and upwards featuring 1.5GB or more RAM. The company is currently testing iOS compatibility using a beta testing program. The final version of its Gear Manager app should be released for iOS devices soon. New features on the Gear S3 smartwatch include a way to accept or reject calls and snooze alarms using the rotating bezel. Moreover, users can draw alphabets on the Gear S3’s display using their fingers to automatically convert them into text and emojis. 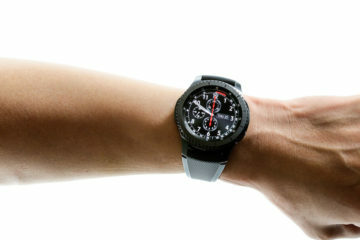 There’s a new Reminders app that, as the name suggests, allows creating reminders and to-do lists on the watch itself. The SOS feature alerts friends, family or emergency professionals in case the Gear S3 user comes across a crisis. Samsung has collaborated with BMW to bring the BMW Connected car app to the Gear S3. It can be used to unlock the connected car, check its fuel, and receive other notifications from the car. Samsung is also bundling Tizen-based Knox security feature on the Gear S3 so that enterprises can keep a tab on information security. There are a bunch of sensors on these smartwatches including an accelerometer, ambient light sensor, barometer, gyro, and a heart-rate monitor. The barometer allows measurement of atmospheric pressure and altitude. An ambient light sensor, which doesn’t get featured on most smartwatches in the market, changes the Gear S3’s screen brightness automatically. 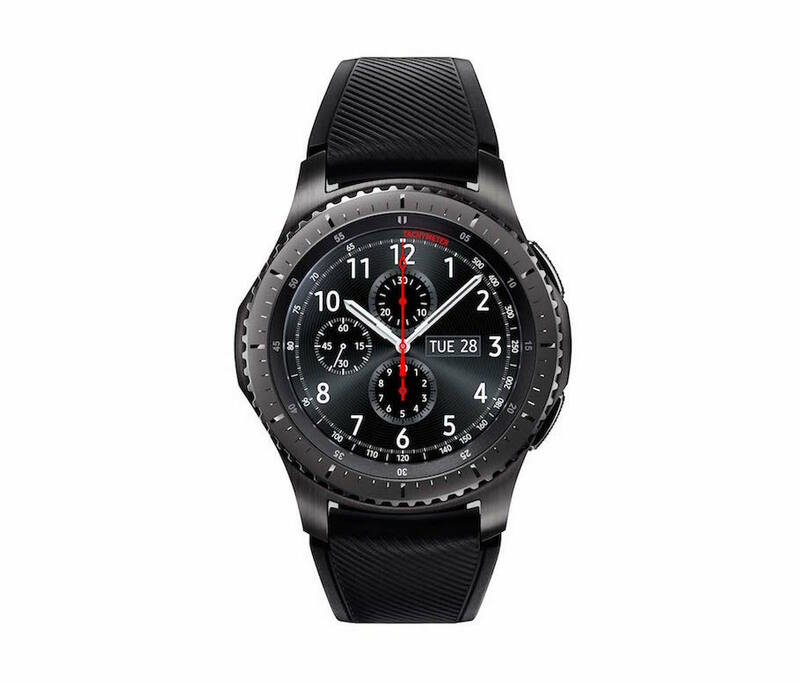 The Gear S3 frontier comes with LTE and a loudspeaker so that users can take calls without a need for a smartphone. Both variants of the Gear S3 come packed with larger 380mAh batteries, and Samsung claims that they can last up to four days of moderate usage. The battery can be charged using WPC inductive wireless charging using the bundled charger. These smartwatches are slightly thicker than their predecessors at 12.9mm, and retain the IP68 certification for dust and water resistance. The company didn’t announce the pricing or availability details yet, but we will update you with related information soon.